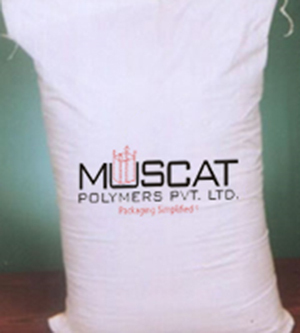 Muscat Polymers is an ISO certified company and recognized as one of the most experienced company in supplying and exporting of Woven PP sacks over couple of decades to around 24 countries by providing the customized packaging solution to all the various industries. 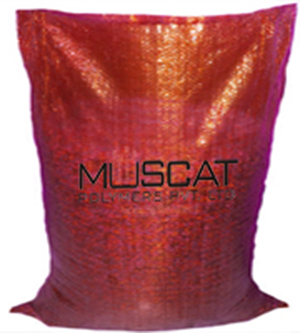 MPPL manufacture and exports almost 500 M.T (Metric Tons) per month supplying wide range of PP Woven sacks with both plain or printed, different sizes, types, colors, tear resistant, 100% customized PP sack, made from the toughest woven polypropylene fabric. 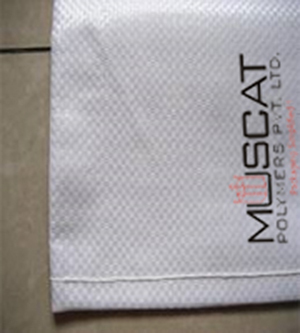 Our PP Woven sacks are very much ideal for the packaging of building, constructions materials, engineering goods, farming and agriculture products covering the wide range of products including sand, cement, fertilizer, animal feed, seed, waste, rice, sugar, flour, spices, and many more. MPPL has In house printing with roll to roll printing upto 4 colors on each side and upto 6 color on each sides printed on our premium printing machines, providing the highest quality standard of printing with very attractive finishing.